Work continues Tuesday on Fremont Avenue near the newly completed Wilson Theatre. Robert and Lynda Orr at the Wilson Theatre in Rupert. Robert Orr in high school during the 1950s. RUPERT — Growing up, Robert Orr couldn’t wait to get out of town. Sixty years later, he is a key part of the city’s future. Orr grew up on the homestead where his mother was born, north of town. He graduated with the last class of Rupert High School before it closed and the high schools consolidated in the mid-1950s. “In 1955 or 1956, I left home and I got so busy that I never looked back,” he said. He now lives in Cottonwood Heights, Utah, but is playing a vital role in the revitalization of the Wilson Theatre and will help create a beautiful green space near the theater during the Fremont Avenue rehab. As the son of a farmer, Orr’s spent his youth doing chores. “We did not have cellphones or the internet and we had to make our own entertainment,” the 81-year-old man said. On Saturdays, his mother would drop him off at the Wilson Theatre, where he would watch a matinee for 9 cents. When a teacher asked Orr, the son of prominent farmer Frank Orr, why he wasn’t taking more agriculture classes, Orr told him he wasn’t going to be a farmer. “I was pretty restless to leave the area and find out what the rest of the world was about,” Orr said. Nineteen years ago, after a successful career that culminated in his own company, Orr was traveling through southern Idaho when he decided to stop and put flowers on his parents’ graves. “I also wanted to reconnect with the city I grew up in,” he said. Orr’s desire to reconnect with the city led him to City Hall and into the office of then-mayor Audrey Neiwerth. So, Neiwerth eagerly led him down the street to the rundown Wilson Theatre on the Square. A community development committee called the Rupert Renaissance Initiative had identified the theater through a survey as a city landmark that many residents wanted to see restored. Anchoring one corner of the Square, the building was boarded up and had sheets covering the upstairs windows and was “a real eyesore,” Larry Duff, chairman of the Rupert Renaissance Arts Center board, said. His initial anonymous donation was used to complete the exterior of the building and it spurred countless other monetary donations and contributions in labor and time. When the project started, no one knew how much money the restoration would cost or how long it would take. This spring, the theatre completed the last major renovation project as 400 plush red 1920s-style seats were installed. The theater, now valued at $4 million, will celebrate its centennial next year. “He’s been our major donor and without him we wouldn’t be finishing it up now,” Duff said. Duff said Orr’s regular donations during the times when grant funds were scarce kept the project moving. Over the years, Orr quietly donated about $750,000 to the theater. The city is now immersed in the second phase of the Rupert Square project, which includes redoing the streets, sides and curbs around the park. Phase three, which includes the Fremont Avenue renovation, is also underway. The street will be redone and a new concrete area will be installed at the end of Fremont Street next to the theater for outdoor events. The pad will also be used for the city’s new synthetic skating rink a couple of times a year. The city’s first phase of the park project revamped the park and installed a new fountain, which was revealed to the public during the city’s Christmas lighting celebration in November. Orr also plans to donate $50,000 for trees and plants that will be used near the theater to create green space on Fremont. “I really want to see the theater become a community gathering place,” Orr said. Brown said Orr’s Fremont pledge allowed the city to move ahead early with the project. “I thought it would be five or 10 years at a minimum before we could put the money together to make it happen,” Brown said. Brown said the city is using some general bond funds, grants and Orr’s donation to pay for the $350,000 street overhaul. At the age of 20, Orr thought he was leaving Idaho permanently behind when he moved to Los Angeles, where he became immersed in a successful electronics and automation equipment career. After moving to Salt Lake City, he started his own manufacturing company, producing among other products including a high purity pump used for silicon chips. In 2000, he sold the business and retired. 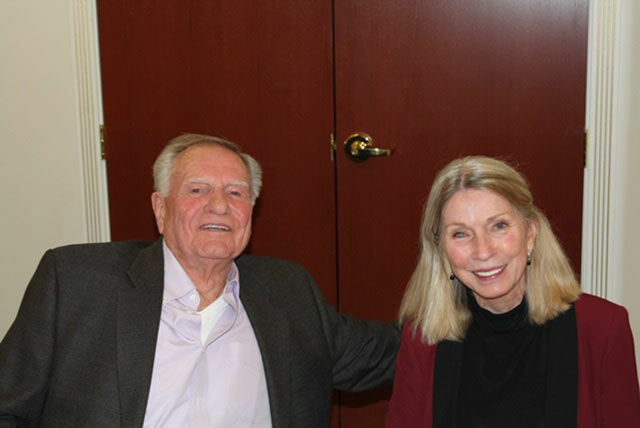 Orr and his wife, Lynda, support several charities, including the Rupert projects, through the Robert Orr Charitable Fund. Now he envisions the renovated theater, Rupert Square and Fremont Avenue as the thriving area he remembers from his youth.